Alex identifies himself as transgender person who remains fluid with his identity. Alex believes that even though services and support for transgender, gender-nonconforming, and nonbinary youth have expanded, there is still a long way to go and Alex is a fierce advocate for his rights and the rights of those around him. 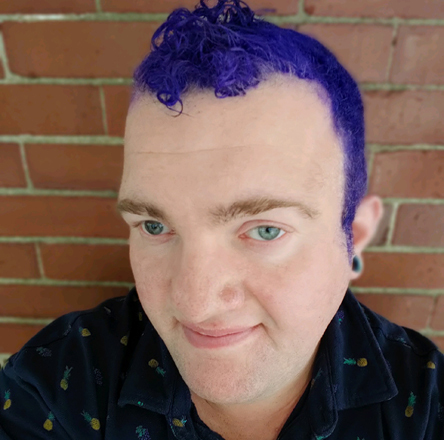 A longtime member of the North Shore Alliance of GLBTQ Youth (nAGLY), Alex began attending as a youth and provided extensive outreach to schools and organizations on the Outreach Team, where he moved up to become the Outreach Coordinator. Since then, Alex spearheads the transgender, gender-nonconforming, and nonbinary youth group within nAGLY, Transcendence. Alex holds an Associate’s degree in Developmental Disabilities with a focus on human services and is currently working on his Bachelor’s degree in Sociology with a Peace Studies minor at Salem State University.